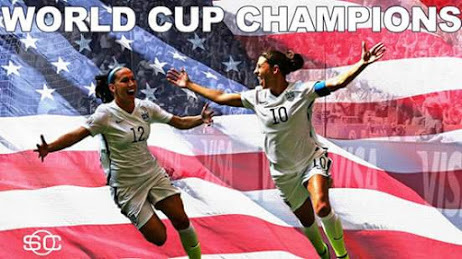 So happy for the USWNT especially Abby, but I felt really bad for Japan. They did well though to finish second... their defense was so good most of this wc, but they just stunk it up really badly in the final! Yes, I don't think any expected the U.S. to come out like dragons in those first 16 minutes. It was unbelievable and so fun to watch. What would have made it perfect is if Abby scored the winning goal! LOL.